How to install DevOps into your organisation? One of the early performances where Dev and Ops presented how they got the lead time together was when Flickr held their epic presentation at the Velocity conference in San Francisco. Patrick Dubois is usually mentioned as the one who coined the concept of DevOps, which thus is a wordplay of Developer and Operations. The underlying phenomena as DevOps (IAF early) addresses that Dev-side (development) of an IT organization from the business side hears: "Developers give us the news more often, earlier, faster..."
Ops-side (operations) is, in turn from the business side: "The systems must be available 24/7, stable without any interruption." Thus we have a conflict in how often we want to update our systems: Ops as seldom as possible so we have stable operations, and Dev as often as possible so we can quickly come out with new (or adjusted) functionality. The solution is obviously to tear down the wall between departments. Simplified need Dev ensure that what you want to be to zone Ops is good adapted from Ops perspective, and Ops Dev need help with this! Anyone who wants to describe how it looks from side could say "they have automated everything goes, everything is under version control, and before it goes into production, it is already automatically tested". I.e. installation, smoke testing, set of environments such as OS and third-party, load balancing, backup job ... - everything is automated and version controlled. The slightest change in any environment is fully traceable. We cannot afford to let people make computers work! The list of obstacles to cross tends not to be short. To automate is not free, especially not the first time. These costs consist of the new tools, new procedures, new errors, and new lessons to be learned. This applies not only Ops without as much Dev. getting them to sit together requires often that management and organization, creating common goals and circumstances. Of course, it should be business drivers that drive the organization towards DevOps - there should be business benefits to be achieved. When it is clearly expressed and becomes concrete down to-day work, work will go toward DevOps culture become much easier. Continuous Integration is now mainstream - there are few development organizations that do not have a building machine running centrally build and test every code check. The next step towards reducing fear during commissioning are getting Continuous delivery in place. How to automate their environments, build their pipelines and testing are naturally highly variable depending on the organization and product. In the course Continuous delivery as we go through an implementation with a single product. We also show a zero-downtime deployment patterns (Blue / Green) with load balancing in the cloud. We use modern tools and no cheating. From 0 to 100 in a few hours, with a complete version controlled environment, product and pipeline! Last year I attended the IMD training ”Being Innovative” and one of the assignments was to use the Rogers Virus Model for Analyzing and Predicting Innovation Success. 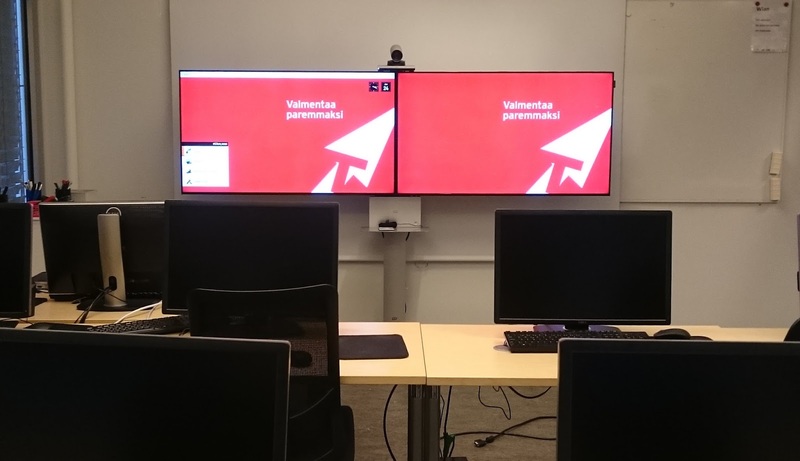 I chose to take a closer look at Remote education, our way to deliver training on a distance that has proven to be a great success for Informator in Sweden over the years. I'd like to share my analysis of its performance according to the 3 dimensions of the Virus Model. 1) First Infection - Referring to Rogers’ model: benefit-to-cost, simplicity, compatibility, trialability, observability, what is the likelihood of first infection? I chose a successful innovation for Informator since six years, using live remote class training. Looking back, we might have had faster adoption if we’ve also had offered some sort of trial. It would have been fairly easy to offer some free remote seminars or something alike that would had given our customers a chance to actually get a firsthand look at the service. We got the simplicity (just turn up in our premises as usual and our technicians has taken care of all IT-stuff), benefit to cost (same learning, less cost for travel), compatibility (no need for you to buy new hard/software) and pretty good at observability (we could have lift this part up better with testimonials and such from pleased clients). First infection without a doubt, was the benefit-to-cost! 2) Staying Power of the Idea: To what extent are “hot-button issues” addressed? Has the project/team been branded? What about durability, “stickiness”? What is the likelihood of infecting over and over again? Hot-button-issues are addressed regularly, time-restraints is the number one detail when our clients don’t attend training/classes. Working with modern ways of delivering training when, where and how our clients demand is the number one priority! The project team consists of some thought leaders from various departments, but hasn’t been branded as a specific team. Maybe we should be clearer when communicating this. As the remote class training has been successful when delivered to and from our own class rooms, we have worked hard to take it one step further and now offer Remote Cloud Access where the clients can participate live from where ever. This is our way of taking the innovation one step further and even if the possibility has been there for many years, the tech for actually delivering seamless live education has been less satisfying. Now it works and we work hard with this offer. As more and more clients use remote training in some way, we do see a bigger demand for this and our costumer managers also gain confident in also speaking more about these values rather than just focusing on our products. 3) Infect the Right People: To what extent have opinion-leaders, trendsetters, highly-networked actors been addressed? What is the likelihood of creating a pandemic? Over the last years we have spent more time networking and marketing our ways of delivering training in a modern way than just focusing on products that might be similar in comparison with our closest competitors. Key players as me and our CEO has addressed the topics as speakers on conferences and discussions with both our staff, our partners as well as our direct clients. We use the tools we talk about to prove why instead of just talking about the possibilities. We also work close with organizations as EdTech, Swedsoft (IT & Telecom companies in Sweden) to raise the discussions from a technical platform to a higher level of understanding the best ways of gaining learning and development. Remote Training is for sure a pandemic when it comes to our line of business! Looking at the bullets benefit-to-cost, simplicity, compatibility, trialability, observability and so on it does make all the sense in the world that all of these are key factors in rapid success and that all is necessary for fast and successful adoption. Even so, sometimes one or two factors might be missing and the end result will still be success. What I’ve learned here is that if all factors are in there from the beginning the adoption most definitely will take less time. "Before this exercise I wasn’t aware of Roger’s model, but the various key moments still feel pretty obvious to me and when reading more I can see the bigger picture. This is definitely something I myself will work harder on in upcoming innovations!" 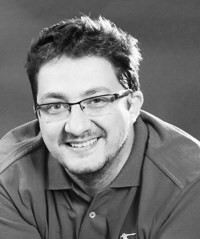 Tobias Strandh has been working in IT and education sector since the mid 90's. He started as Nordic Director Learning Solutions for Informator Tieturi Group in the beginning of the year 2017.